Now Available! 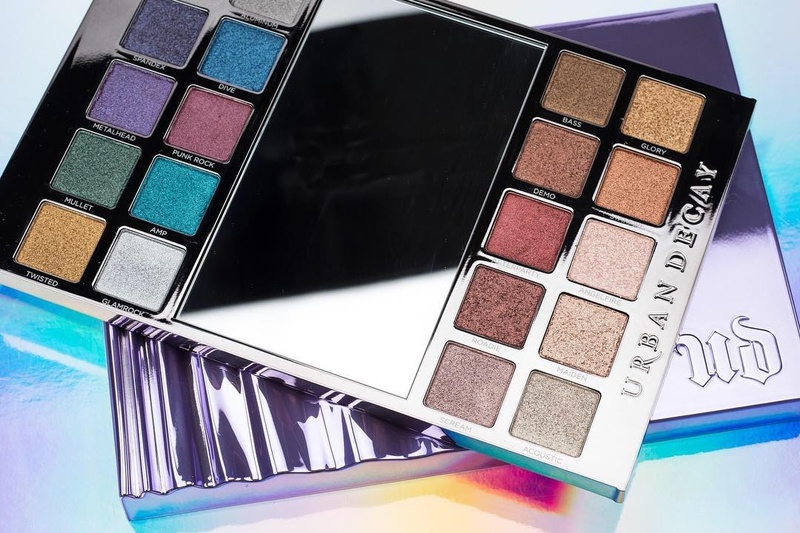 Urban Decay Heavy Metals Metallic Eyeshadow Palette Swatches | Top Beauty Blog in the Philippines covering Makeup Reviews, Swatches, Skincare and More! Hello, friends! 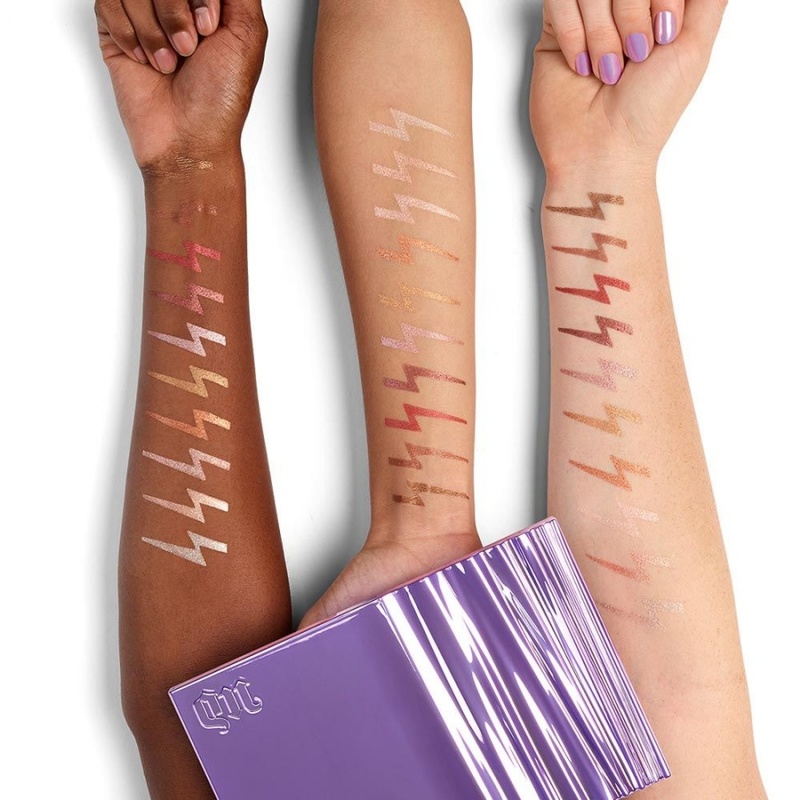 Here are the swatches of the new Urban Decay Heavy Metals Metallic Eyeshadow Palette for holiday 2017.
t Inject your look with a hit of glamrock for daytime or go full-on metal for a night out. From standout jewel tones like Amp (a killer metallic teal) and Twisted (glimmering gold) to ultra-flattering neutrals like Demo (bronze-rose) and Afterparty (an amazing metallic red), this palette has everything you need to create endless metallic looks. And it’s all organized by color: brights on the left, neutrals on the right. Our Heavy Metals Metallic Eyeshadow Palette is shadow mayhem in a crushed metal case. We packed this limited-edition palette with 20 of our most amped-up metallic shadows yet—and every single one is NEW and exclusive. What sets Heavy Metals apart? We developed a whole new Eyeshadow formula for this palette. We bumped up the foiled effect to create our most metallic shadows ever. 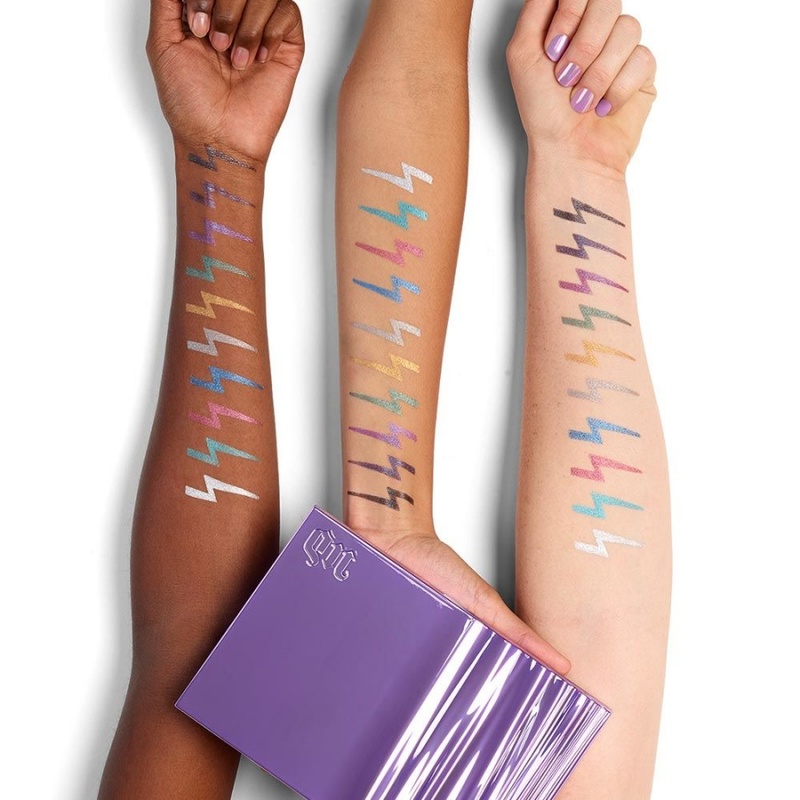 In doing so, we carefully crafted the formula on every shade to make sure each one would apply with a soft and creamy texture and create intense, shiny metallic effects. Every shade has a velvety feel for the perfect application, provides insane color payout and blends like a dream. The killer lavender case has a crushed metal effect on one end…kind of like we smashed it while rocking out. It’s so gorgeous…like a modern art sculpture you’ll want to show off. Just imagine the gasps of, “WHAT’S THAT? !” when your friends see this baby. The palette slides open to dramatically reveal the shadow tray. When you’re ready to work your makeup magic, just pull the palette out and use Heavy Metals like a painter’s palette. Of course, we included a big mirror, so not only is this palette glamrock hot, it’s totally practical too.